70% of netballers aren’t wearing the correct shoes for the sport. 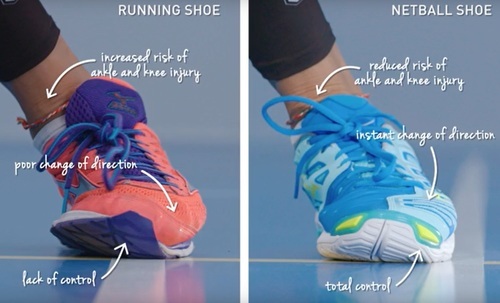 The vast majority play in running shoes or generic ‘trainers’ which don’t provide the necessary grip and support for the quick, dynamic movements needed in the game. We want to gift journalists and influencers a pair of netball trainers to test and review, to highlight the difference these shoes can make to performance, grip and support – reducing the risk of ankle and knee injuries. This press release was distributed by ResponseSource Press Release Wire on behalf of Promote Public Relations (Windsor) in the following categories: Health, Leisure & Hobbies, Sport, for more information visit https://pressreleasewire.responsesource.com/about.